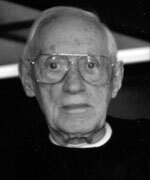 Brother Joseph Drolet, CSV, died at 2:30 a.m. on February 13, 1995 at Silvercrest Nursing Home in Las Vegas, Nevada. He was 90 years old. Brother Drolet pronounced his First Vows as a Viatorian on August 15, 1925 and then began his studies at St. Viator College in Bourbonnais. After graduating from the College, he began a long career in the educational ministry for the Province, first serving at Cathedral Boys’ High School from 1931 to 1941 and at St. Ambrose High School and College from 1941 to 1944. After a year at St. Philip High School in Chicago, Brother Drolet returned to Springfield and Cathedral Boys’ High School from 1945 to 1954. After teaching music at Spalding Institute in Peoria for two years, Brother Drolet moved west and joined the faculty of Bishop Gorman High School in 1954 where he remained for 18 years. 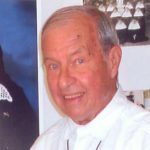 In 1972 Bishop Joseph Green ordained Brother Drolet to the permanent diaconate; he served for the next seven years as administrator of parishes in Fallon, Nevada and Gabbs, Nevada. In 1979 Brother Drolet retired to the Pinecrest residence in Las Vegas. Visitation for Brother Drolet was held at St. Viator Parish in Las Vegas on Thursday, February 16, 1995 from 4:00 to 9:00 p.m. with a Prayer Service at 8:00 p.m. The Funeral Mass was celebrated at St. Viator Parish on Friday, February 17, 1995 at 11:00 a.m., with burial in Davis Paradise Memorial Gardens in Las Vegas. 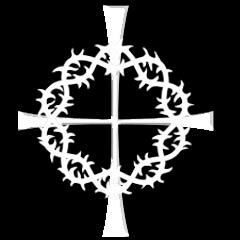 Brother Drolet was preceded in death by his brother, Dennis, and by his sisters, Genevieve and Madeleine. He was survived by his brother, Father Roger C. Drolet, CSV in Taiwan – now deceased. Please remember Brother Drolet in your prayers and gather together in local communities to remember him in Eucharist.